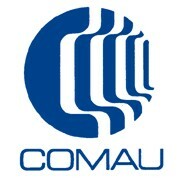 Comau UK - Bring it On! We can offer some great practical activities along with brilliant first-hand advise into the routes and careers within the engineering industry through either the university or apprenticeship path. Comau understand the importance of getting young minds engaged and interested in the STEM subjects, we feel the "Bring it on!" event is a great opportunity to allow young minds to enthuse about the automotive industry and have a first-hand look at what possibilities are open to them when they embark onto further education and choosing their career path. It is the young people of today that will make the industry great and through events like "Bring it on!" and "The big bang" and with the teamwork of all businesses involved this will happen!